Hannah Swensen and her bakery, The Cookie Jar, bask in the glow of Hollywood glamour when Main Street becomes a movie set. And although tensions simmer as the cameras roll, no one expects the action to turn deadly. . .until it's too late. . . There's no such thing as privacy in Lake Eden, but Hannah never thought things would go this far. Everyone has been telling her what to do ever since she got not one but two marriage proposals. Movie mania soon shoves Hannah's marriage dilemma into the background and even gives her cat a shot at stardom. The Cookie Jar serves as snack central with Main Street rented out for the week. 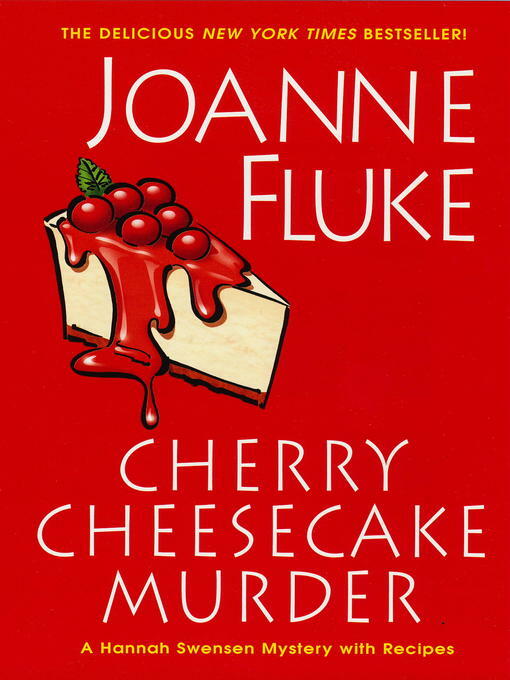 She stirs lots of fresh gossip, whipping up treats for cast and crew, including demanding director Dean Lawrence's favorite--cherry cheesecake.